As we collectively stare down the barrel of the Brexit gun Getintothis’ Jono Podmore happily predicts the end of the Tory party. Despite being in power since 2010, David Cameron saw that the Tories continued existence as a functional political party was over unless the Kamikaze extremists in the party, the crypto-fascists, nationalists and disaster capitalists emboldened by Trump and supported in the press, were silenced. The one issue that this vile group of dangerous MPs have rallied around is their loathing for the EU and our membership of it. They loathe it because it protects workers rights, which in the short term, diminishes shareholders returns from companies that would benefit from slave labour. They loathe it because as members of the EU we have created a democratic system that puts the brakes on the American neo-liberal programme that they adore. They loathe it because it has the power to force billionaires to pay their taxes. They loathe it because the other members of the EU are just foreign. This irrational, short-sighted and fundamentally immoral mind-set has taken root in the Tories and has been voiced in the worst of the British press; being businesses owned by billionaires who pay no UK tax and that would benefit from slave labour. Their message is: “Share our hate of meddling foreigners and you’ll be free”. Nice and simple. But that’s not the whole of the Tory party. The other, larger group that includes Cameron and his successor May, realise that if they want the highest returns for the capitalists they represent in the long run, they need access to massive markets with as little friction as possible. They need stability for economic growth, despite its impact on the environment. They need a workforce with basic education and healthcare. 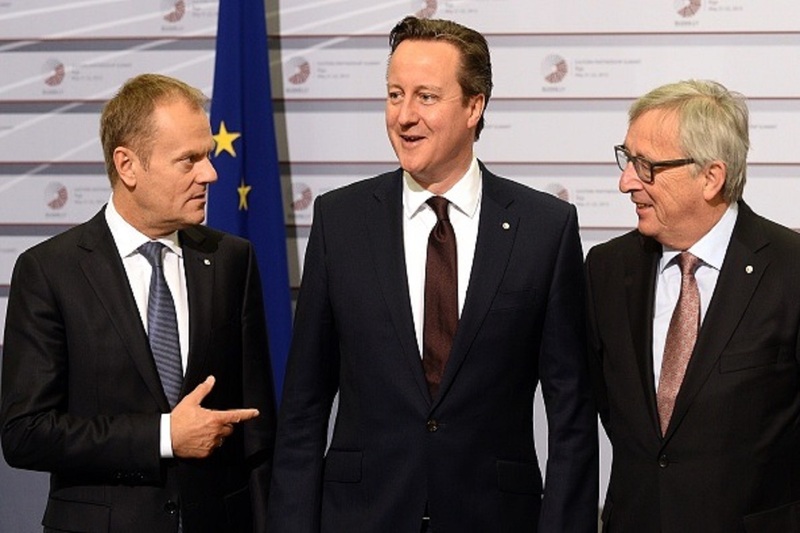 Consequently, they are happy with the EU. But despite being the majority in the Tory party, they don’t have the same jingoistic clout with the press. Their argument is more complex, longer term and involves an understanding of how international capitalism works. Their message is: “We want to exploit you in a way where you feel rewarded and free to exploit others as nicely as we’ve done it to you and in accordance with your British values”. Not exactly a meme, is it? These two groups within one party are both massively funded domestically and internationally and will fight tooth and nail to get or maintain the ascendancy. Cameron‘s strategy to out, then silence his internal opposition was to gamble the entire nation’s stability on the EU referendum in 2016. He failed so dramatically that we are now left staring down the barrel of Britain becoming a third world country off the coast of Europe – our assets and most highly trained citizens leaving in droves. Yet the Tory battle continues. Theresa May, representing Philip May‘s Capital Group, has found herself trying to square the circle of bringing these two groups into agreement on the one subject over which they are locked in to mortal combat. She has tried everything, including courting the rabid nationalists to the disgust of rest of the party, and softening her Brexit plans to the horror of the crypto-fascists. Last Wednesday she addressed the nation to admonish all MPs, attacking the very people she needs to convince to back her ill thought out and dangerous withdrawal agreement. What the Tory Brexiters and their bewildered English minions don’t realise is that after 45 years of deepening ties and cooperation with our neighbours to become the most successful and powerful trading block in the world, that just leaving is simply impossible, at least not without causing unthinkable catastrophe. A catastrophe that would engulf not just the UK but also all the economies of the West. The question on the ballot paper from the referendum in 2016 was a heinous and profoundly stupid binary choice between the status quo and an impossibility – an impossibility entirely of the Tory’s own making. It will not work, because it cannot work. Whatever the outcome of the next few days, weeks or even months, one of the groups in the Tories will cry foul and call for her head. She will have to go and result will be the end of the Tory party, as no-one is capable of uniting them. The split will create two right wing parties and with it profoundly dangerous instability. One party will be based on the ERG, the group of psychotic nationalists that gather behind Rees-Mogg (£7,000,000 already better off from betting against the UK since 2016). They will consume the Ukippers and the BNP and become a well-funded, press-backed British fascist party in all but name. The murderous genie will be out of the bottle. They could do well with the support they will garner from Trump, Putin, Netanyahu, Bolsinaro etc. The other will be the caring-capitalist Tory mainstream. Weakened by losing their nationalist core, but perhaps strengthened by welcoming in so-called moderates from across British politics. In truth, these people are anything but moderate, or centrist. The agenda of British politics has been dragged so far to the right since Thatcher that out and out corporate capitalists who will stop at nothing to ensure that the poorest in society support the richest though exploitation and diverting tax funds, are now considered somehow in the centre. They are not. That is an extreme position, shared most noticeably at the moment by the murkily funded so-called Independent Group of MPs and their patron saint Tony Blair. If we are to form anything like a just, stable and progressive society in this country, neither group must be allowed to get anywhere near power. A Prime Minister that represents either group will see Britain collapse into the bargain basement, a nation of low-wages and low taxation for the rich, of hugely underfunded social services and education and an infrastructure constantly on the brink of collapse. To avoid this we have to tirelessly campaign for a general election and return a Labour government, it is, quite literally, our only hope as a nation. Meanwhile the 27 other countries in the EU must have their say. Naturally they fear that the longer this carnival of idiocy and self-destructive self-interest goes on, the more it will, perhaps via the European Elections this summer, infect their domestic politics, which none of them can risk. They have their own problems with nationalism and populism and need to keep it under control, as we used to be able to do, until the Tories, the press and the wider media mindlessly let it take centre stage. Our allies can see what that does at close range, how it corrodes the quality of public debate and eclipses other pressing problems: climate change for example. Be prepared to celebrate the end of the Tories, but also but be prepared for the worst of humanity to clamber out of the wreckage and make a bid for power.